Backcountry.com gave me free money!!! There isn’t really a lot to choose from with a $20.00 limit, considering I had to allow for shipping costs as well. So, I strolled through the categories, looking for what I could use. 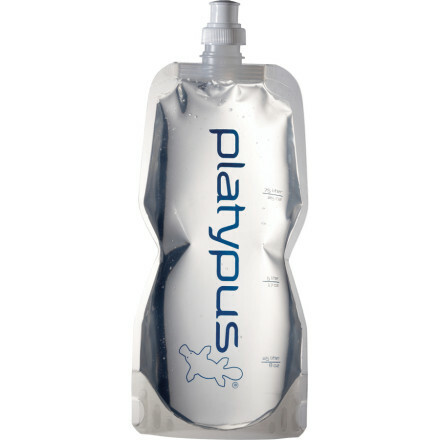 What I decided on is the 2L Platypus Platy SoftBottle with a closure type lid. Quite honestly, the choices for the SoftBottles were a bit confusing, and I am not sure if I still understand them. The best I can make out, there are three different types of bottle tops: Hyperflow, Push & Pull, and Closure. I wanted simple, so I chose closure. I think that it simply has a bottle style top that simply screws on like on a pop bottle. As far as weight, I don’t know, I can’t really find much info for a 2L bottle. So, I will see when it gets here. Also, it will be nice to compare this to my Nalgene soft-sided Cantene. I like the larger mouth on the Nalgene, but it also takes up more room than this Platy bottle (probably) will when rolling up. However, the Platy has a larger volume than my 1L Nalgene. Anyway, I will do a write-up and compare the two when it gets here. I am not sure why I got a certificate from Backcountry.com. I only made one or two purchases from them this year (although one was a rather large one…) However, I would like to say thanks to Backcountry.com for giving me the free money. This entry was posted in Gear, Gear Stores and tagged Backcountry.com. Platypus SoftBottles, Nalgene cantene. Bookmark the permalink.